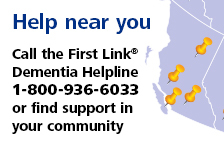 Understanding communication | Alzheimer Society of B.C. Communication allows us to express our thoughts, beliefs and wishes, and plays an important role in shaping our relationships with others. As a caregiver, you may find it increasingly difficult to communicate and connect with the person with dementia. This workshop for family caregivers explores how communication is affected by dementia and offers insights about effective communication strategies and ways of providing care that focus on the needs of the person.